Muuto's Nerd chair is characterized by a balanced and joyful appearance with references to the basic values of Scandinavian design. 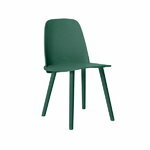 Designed by David Geckeler, Nerd has an innovative integration between seat and back that gives the chair its iconic character. Nerd chair has been crafted from solid wood and it is available in several appealing colours. David Geckeler (b. 1984) is a German industrial designer based in Berlin. In 2012, he graduated from the renowned Universität der Künste Berlin. 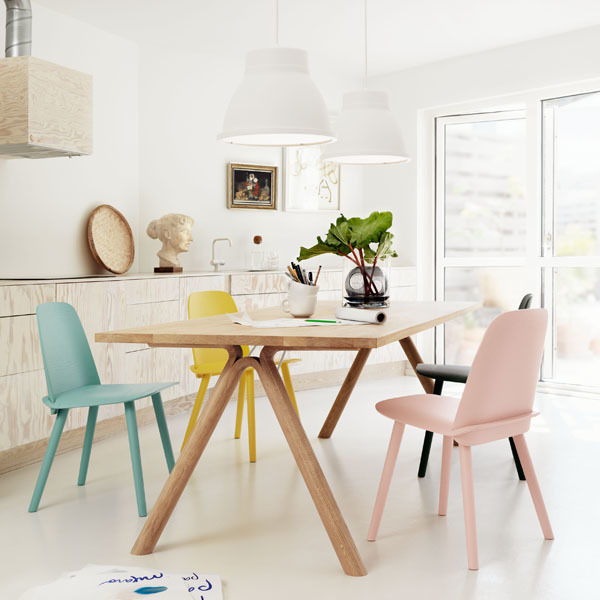 He started his design studies at the University of Applied Science Potsdam and studied also in the Royal Danish Academy of Fine Arts in Copenhagen. After completing his studies, David Geckeler has been working on several projects for international clients. 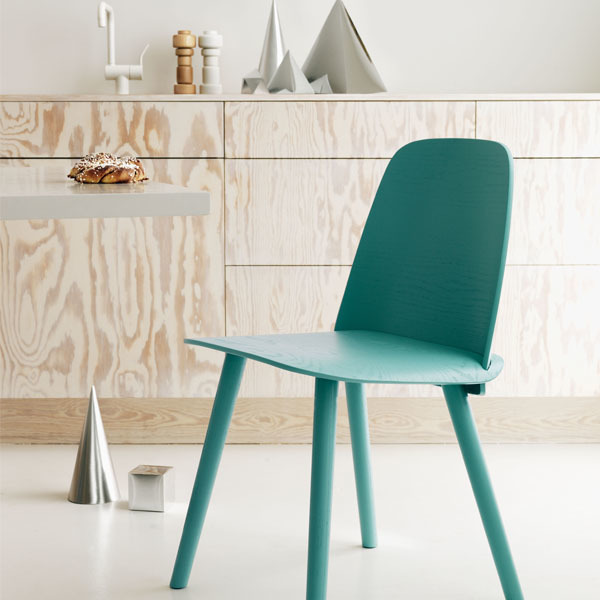 Nerd chair for Danish Muuto is one of his first designs that are taken into production.